Our worlds have been turned upside down! The Broadway.com Audience Choice Award-winning new musical Finding Neverland will shutter on the Great White Way on August 21. 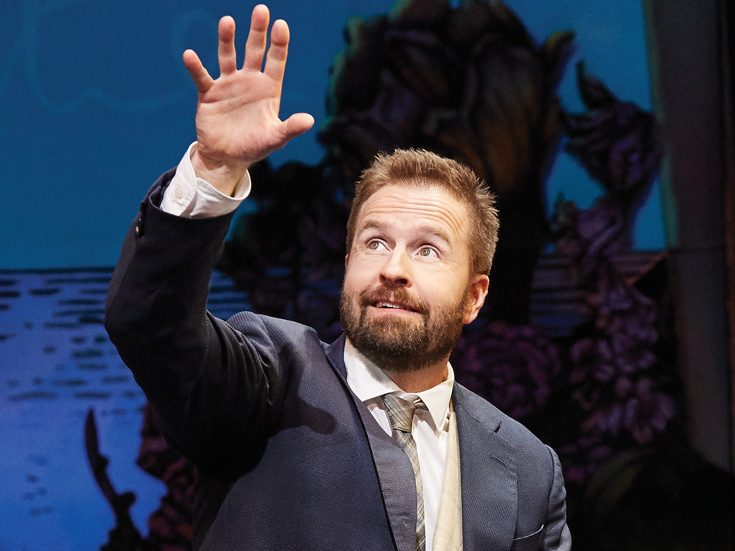 At time of closing, the production, led by Alfie Boe and Laura Michelle Kelly, will have played 33 previews and 565 regular performances at the Lunt-Fontanne Theatre. It officially opened on April 15, 2015. Plans for the musical to land back on the Great White Way are already in the works, as are productions across the world and a movie adaptation. "Neverland will be beginning its around the world tour starting in the U.S. in October, then London in spring of 2017 and Asia in 2018," producer Harvey Weinstein said in a statement. "[The Nederlander Organization] has offered us a Broadway house to return after the US tour...and on top of that, I'm excited to announced that we will be producing a Finding Neverland the musical as a film." Directed by Diane Paulus and featuring a score by Gary Barlow and Eliot Kennedy and a book by James Graham, Finding Neverland follows the story of J.M. Barrie (Boe) and his relationship with the family of widow Sylvia Llewelyn Davies (Kelly). Llewelyn Davies' children eventually became Barrie's inspiration to write Peter Pan. The cast currently additionally includes Marc Kudisch, Sally Ann Triplett and Teal Wicks.